"You write so beautifully and the subject matter so needs the attention you give it. You do have a gift with putting words together. I wish it would be read by gay and non gay alike, for it has a message for both. The conclusion is superb! What a question! I know your answer is the right one, but wonder what my answer would be if I were gay. The easy way to escape the condemnation of society and the church would be tempting. One important thing to be considered, I guess, is the psychologists' telling us that gays and lesbians have potential that their heterosexual counterparts do not have. I think you are living up to yours beautifully. You are a very special person." "This book is a real page-turner. The narrative is warm, sensitive and courageous. The author captures the swirling of emotions engulfing her, making this a book full of life and the decisions each of us must make." "I read your latest book and thoroughly enjoyed it. There's enough angst in the first 200 pages for everyone to feel the pain of: "the mold that governed my life didn't fit." And then in the last third ("I am finally getting to the point where I think I can talk without a box of tissues close at hand") there's comforting relief when love and relationship and normal daily life return to win the day. Well done!" "Thank you for sharing this loving story with me. I laughed, and I cried, and I cheered. The story is powerful indeed as you the heroine. I urge you to find a good editor and get this manuscript published." "Remember that I told you a long time ago you ought to be a preacher. You write so remarkably well. I have started reading it and find it so very, very well written. I get captivated by it and forget that I am supposed to be proofreading. I am so very proud of what you have done and do hope it will be published and read by many, many people, for many would be helped by it. It would open their eyes to so much truth about homosexuality. You have done a beautiful job." It seems to me that religion is the enemy, the very source of human pain--what kept you from finding the love you needed. Reading Lou Anne's story has enriched and educated me. I feel fortunate to find someone with a church experience much like mine who has stayed in her church to be a presence for those who identify with her or for those who are willing to learn. We have two of her books and loan them out regularly. We are having some interesting conversations with our friend-readers. Just read it for yourself. In her sixties, she had the courage to quit playing the role that everyone she knew—her parents, her children, her husband, and her fellow Baptists—had always expected of her. 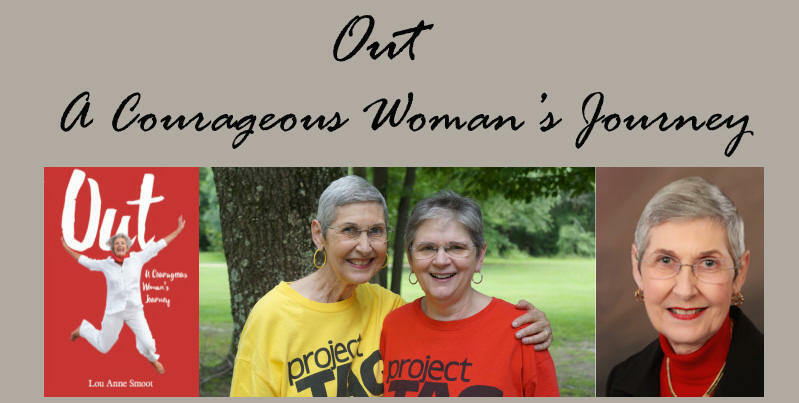 Though living in a conservative small town in East Texas, she reached deep inside and slowly, painfully released her true self. Lou Anne reveals her gripping story with honesty and in great detail. It is refreshing to come to know a woman of such integrity through her writing. Those who join her on this roller-coaster journey of self-discovery will certainly admire and cheer her for sharing her authentic, well-documented struggle. A very well written book that certainly details the challenges faced by woman who wants to be true to herself and her church! This should be required reading for church leaders and members of congregations who face the challenges of gays who want to be members of churches or ministers in churches. Furthermore, anyone who questions the rights of gays or who believes that being gay is a choice needs to read this book. The personal struggle of the author would open the eyes and hearts of those who do not understand what being gay means in today's world. What a gutsy woman - not only for coming out in her personal life, but for sharing her story so publicly. Ms. Smoot takes her reader through every inch of pain and glory that individuals and their loved ones endure when embarking on the journey of "coming out." She shows that authenticity is paramount to one's happiness, despite the obstacles that society (family/friends/churches/governments) often puts in place. This book, more like a diary of her life, will bring much-needed insight to the straight reader as well as much-needed courage to the LGBT reader.